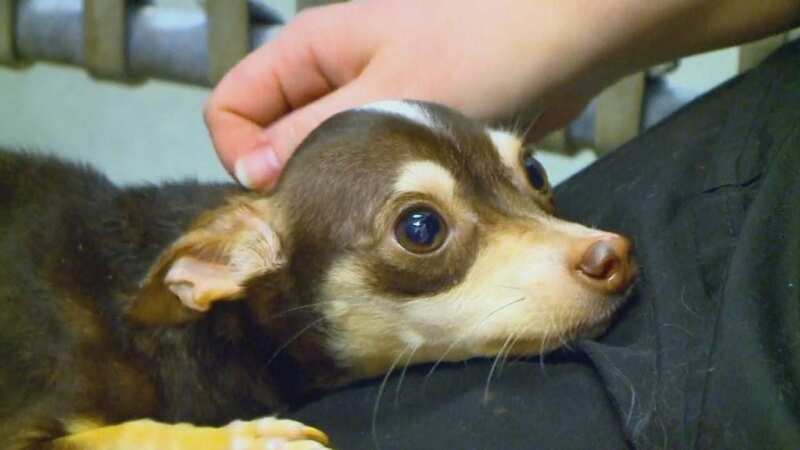 A Chihuahua is recovering after he was found in a dumpster in Des Moines, Iowa. Now, the Animal Rescue Legion of Iowa is on the hunt to find out who is responsible for dumping the dog, who was still in his kennel, in the garbage. The small dog, named Oscar, was discovered by Jesus Balderas as he passed by. The kennel fortunately broke open as it was thrown into the dumpster, the ARL said. Oscar was able to make his way to the top of the pile but was too weak to jump out. Balderas pulled him out and took him to the ARL for treatment. Oscar, whose coloring is brown and white with stained yellow legs and underbelly, is said to be thriving at the ARL, eating and warming up to people. The ARL is asking for people to provide any information they may have in order to track down who abandoned Oscar. “We’re coming up with no leads at this point,” Animal Control Services Director Josh Colvin said.